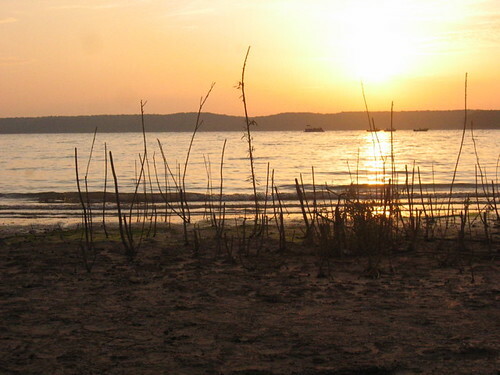 Watching the sunrise at Lake Perry in Kansas. 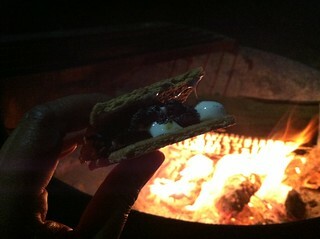 My hubby introduced me to camping. 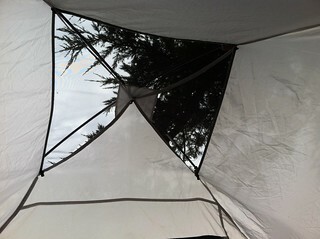 I loved sleeping in a tent by the lake. I enjoyed smoked sausages and ramen for breakfast. 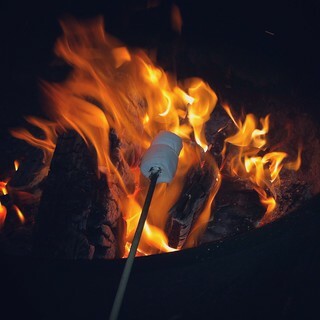 I adored roasting marshmallows over the fire pit. I don’t miss my graveyard shifts. I do miss watching the sunrise. My entry for this week’s Photo Friday: Sunrise. Hungry paws left prints behind at our campsite. 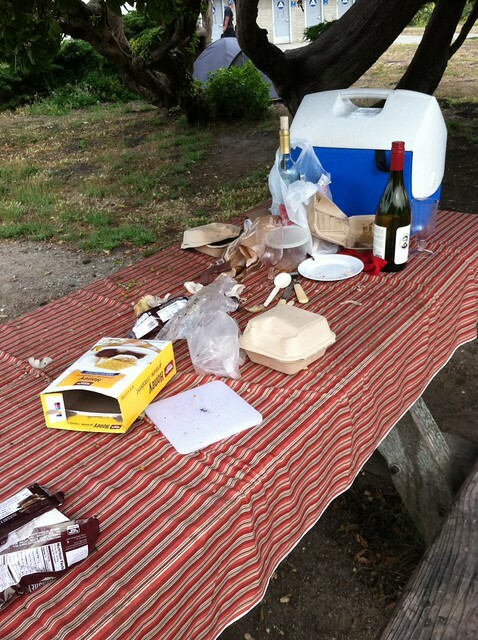 Suzanne and I thought our food would be safe on the picnic table. 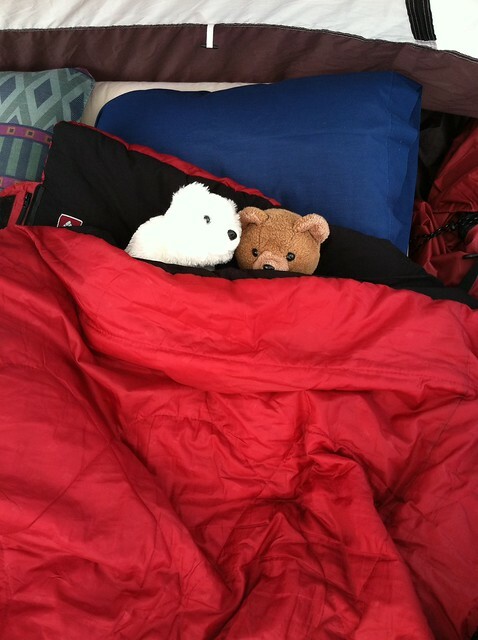 A 9-year-old sleeping bag kept us warm overnight. It looks like raccoons visited us overnight. I had no idea that these nocturnal critters liked dim sum. 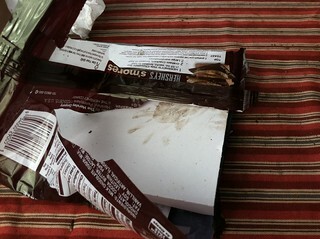 Suzanne also pointed out the evidence they left behind. PAW PRINTS! Chocolate-covered prints are ready for processing. 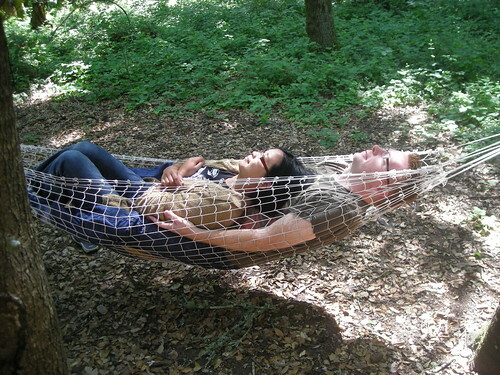 It was tough camping lesson and it made us laugh. 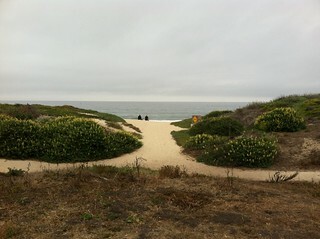 Here’s a lovely view by the restrooms. 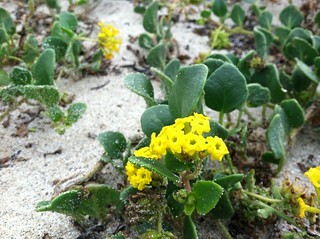 Rabbits darted across the sand. 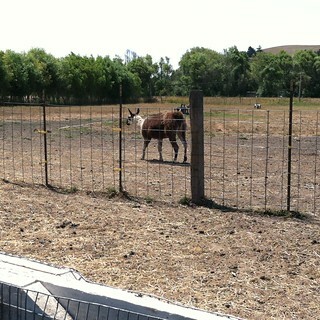 We checked out Harley Farms after camping. 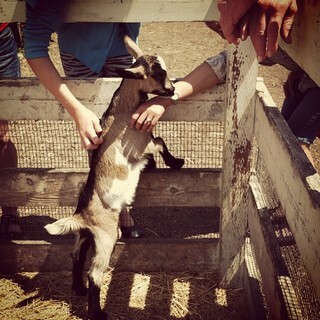 I fell in love with this two-week old kid. 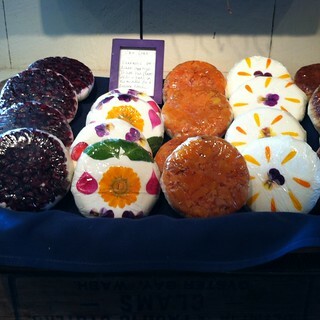 Hello goat cheese! I took home a button of Monet. I also liked the flavor combo of jalapeño jelly and goat cheese. 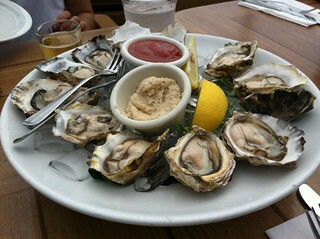 Lunch at Half Moon Bay Brewing Company. Day 72 of 100 Happy Days. I missed camping. 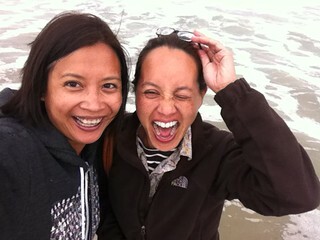 I was so happy that Suzanne invited me to tag along on her camping adventure in Half Moon Bay. It was lovely to find a campground that’s only 30 minutes away from my house. 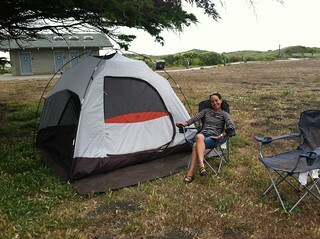 I also loved pitching our tent next to the beach. I met Suzanne’s friends from Modesto, Wayne and Tommy. They saved us a camping spot. 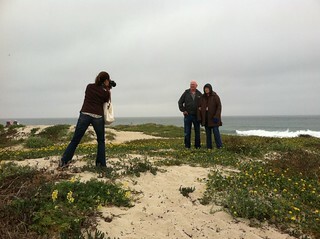 They have been camping at Half Moon Bay State Beach for nearly three decades. They are generous, sweet, down-to-earth souls who want the best for her. I enjoyed listening to their stories from Oklahoma and from the road with their camper. 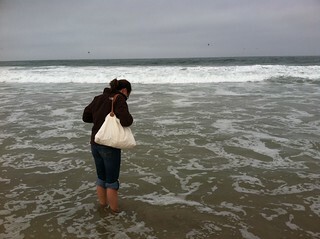 We walked on the beach for about 2.5 miles. We turned around at Miramar Beach. 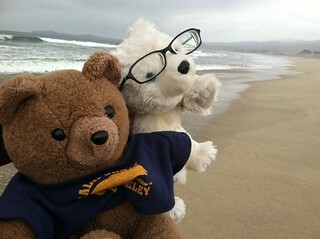 Yes, I brought my bears. 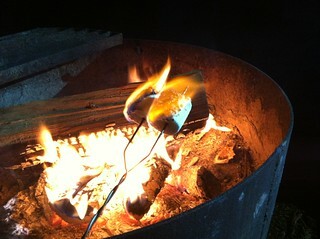 After a quick trip to downtown Half Moon Bay, we came back to a glowing fire at the campsite. JOY! Day 71 of 100 Happy Days. I started waking up before sunrise, without an alarm, in Kansas. My body couldn’t forget my graveyard shift schedule. That meant I didn’t miss sights like this one: a sunrise over Perry Lake in Kansas. This is my entry for this week’s Photo Friday theme: First Light. 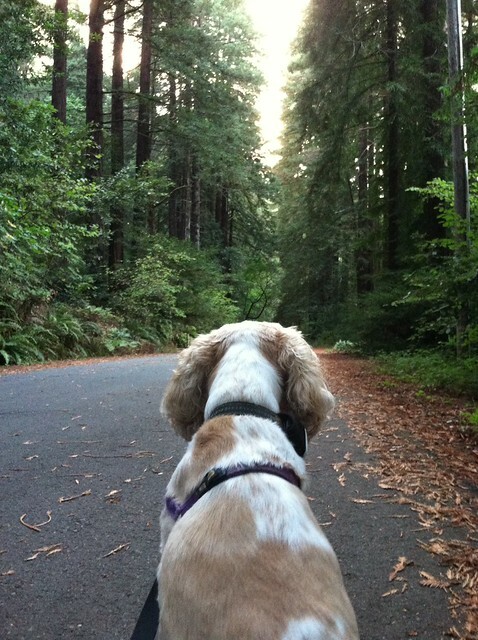 Our weekend getaway: Camping in the Santa Cruz Mountains. Our wedding gift from our co-workers still rocks. 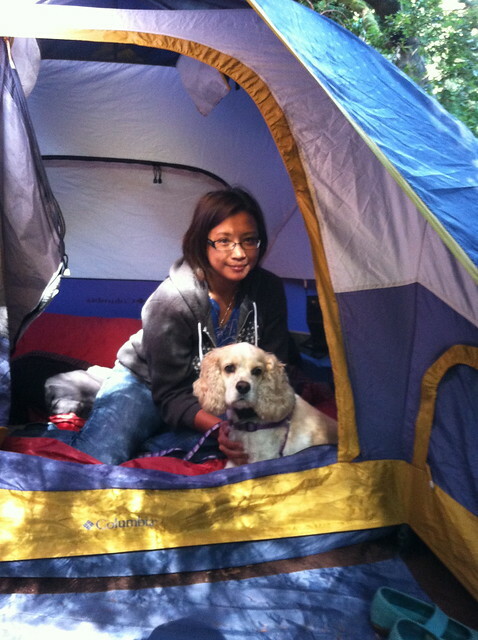 It still kept us warm and cozy on our overnight stay at Henry Cowell Redwoods State Park. Just like our first trip with it to Lake Perry in Kansas. 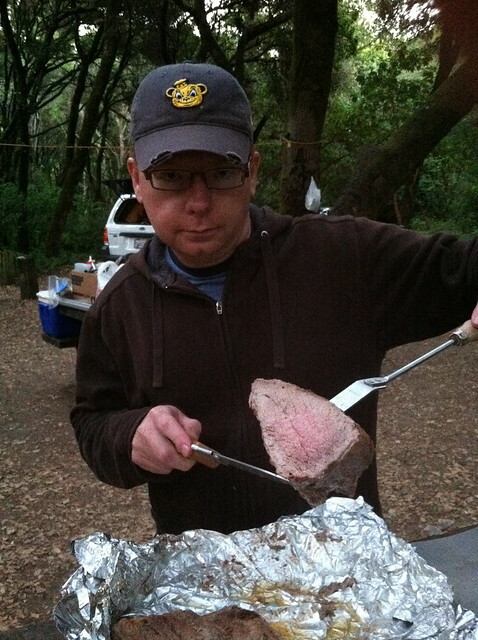 Our buddy Scott took care of the gourmet camp cuisine, just like our first camping trip in Scotts Valley. Mark sliced up the tri-tip. 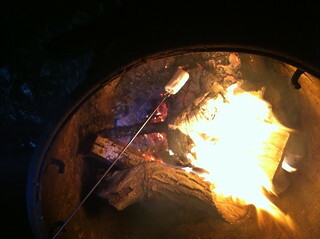 I said good-bye to my diet and roasted marshmallows over the bonfire. 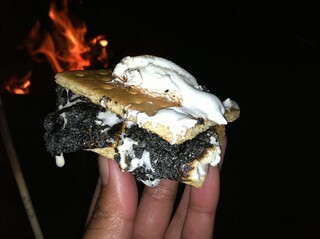 It doesn’t feel like camping unless I have at least one gooey s’more in my belly. My graveyard shift had me waking up around dawn. I slipped out of our campsite and explored the trails and the observation deck. 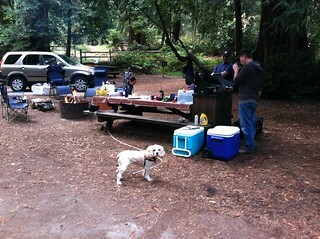 After cleaning up and checking out, we explored the Big Basin Redwoods State Park. 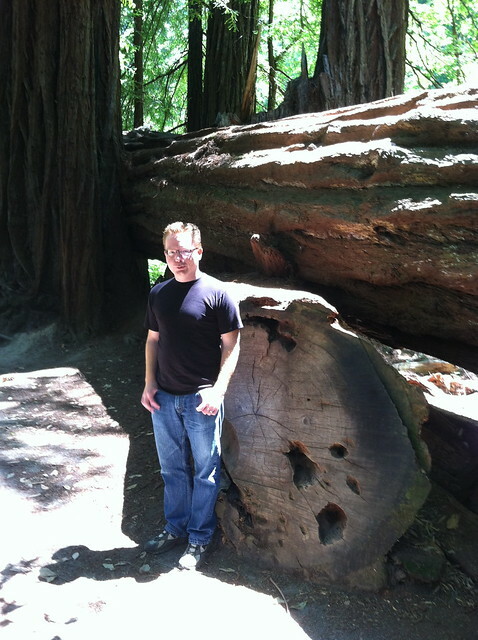 It’s California’s first state park….and the trees are huge! When I was scheduled to work on a Sunday, I decided to make the most out of my short weekend. 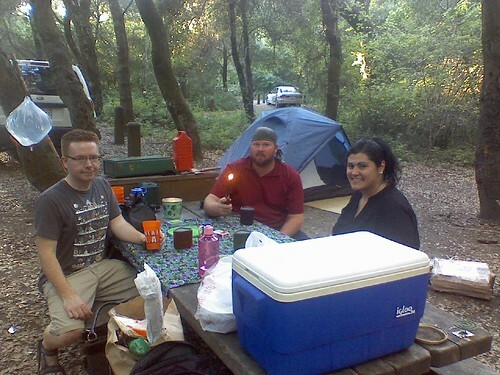 So, my hubby and I tagged along on a camping trip to Scotts Valley. 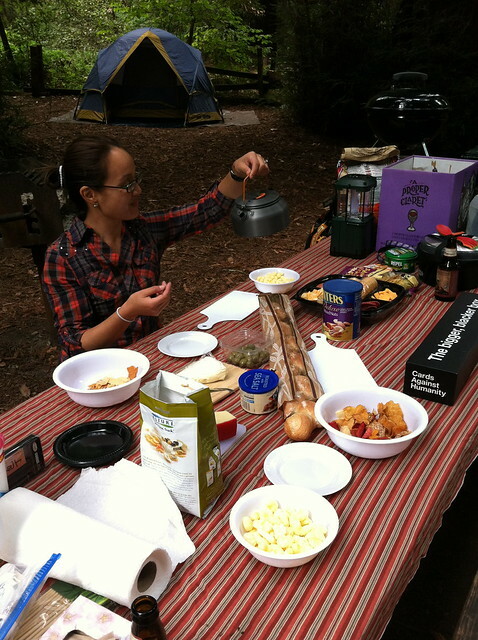 Our camping partners, Scott and Catalina, showed us how to enjoy the Henry Cowell Redwoods State Park in style. 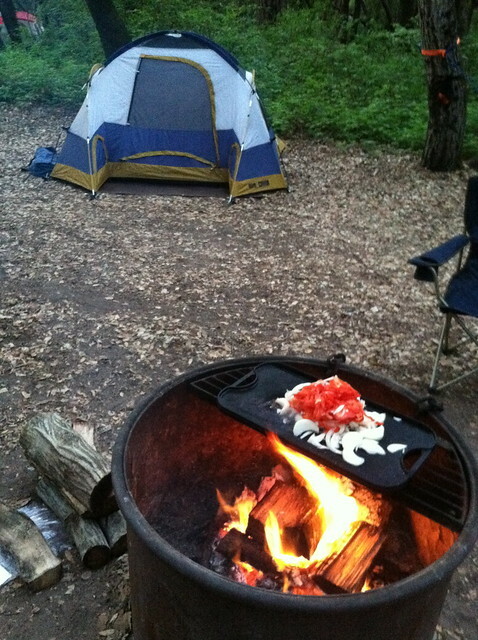 This marked our first camping trip since Perry Lake. For this weekend, Scott and Catalina helped us expand our dining options from instant ramen to fresh pancakes. 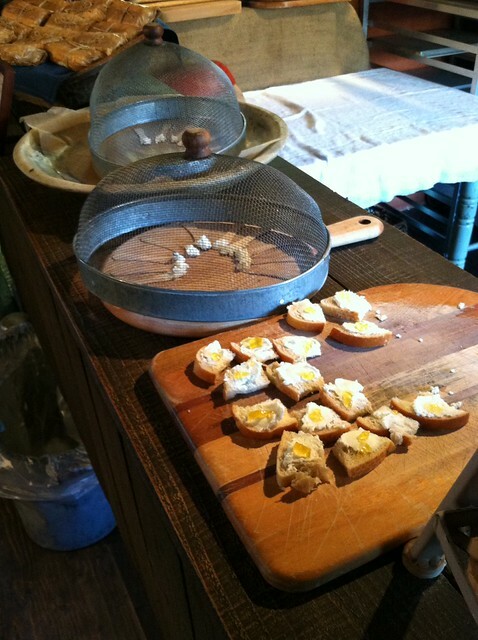 By the way – that Coleman grill/stove rocked! I want one! 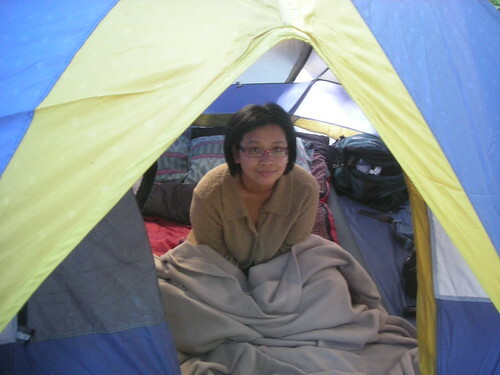 Mark invested in some comfy camping pads and I slept deeply under the stars. A hefty spray of Bug-off stopped the mosquitoes from turning us into a midnight snack. 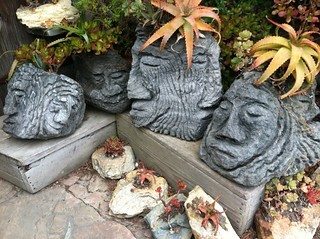 The next day, we explored Santa Cruz and visited the Bonny Doon Tasting Room. 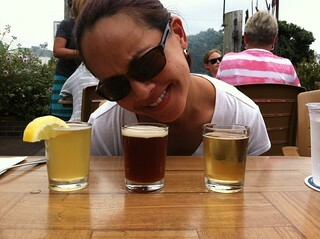 I enjoyed a flight wine and raised a silent toast to Bonny Doon’s winemaker. I met Randall Grahm last year at a Twitter/wine event in Sonoma. So far, it’s been busy in the newsroom. Other people’s vacations/sick days give me plenty of things to cover in Sacramento. 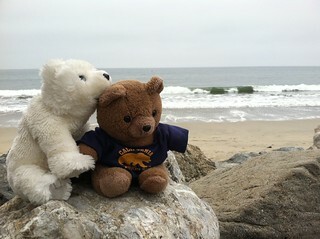 I can handle all the overtime as long as I have something to look forward to on the weekend, like another camping trip. Next time, I want to share the tent with Daisy. 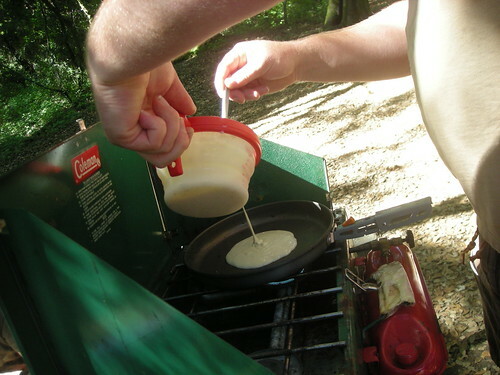 Fellow campers….beware. 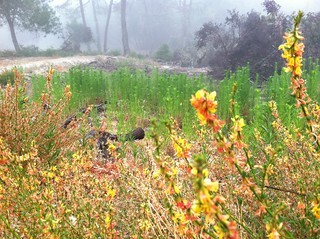 Alright Facebook/RSS buddies – don’t forget to check out the blog post for a pretty Flickr slideshow on our camping trip.